Former member of Egyptian terrorist group says 'suffering of Palestinians' caused by their leadership's 'barbaric attitude towards Jews'. A prominent former Islamist, now self-declared "reformer of Islam", Dr. Tawfik Hamid, has reiterated his view that the ball is in the Palestinians' court to make peace with Israel. Dr. Hamid is a Senior Fellow and Chair for the Study of Islamic Radicalism at the Potomac Institute for Policy Studies, and formerly a member of the radical Al-Gama'a Al-Islamiyya group in Egypt, which is blacklisted by the US and other countries as a terrorist group. 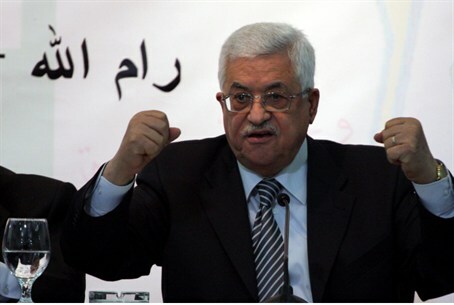 He said that although it is undeniable that many Palestinian Arabs are suffering, the facts on the ground prove that the finger of blame should be pointed not towards Israel, but towards Hamas and "the Palestinian leadership" who, instead of responding to repeated Israeli overtures for peace, instead pursue an agenda of anti-Semitic incitement, rejectionism and terrorism. "You have one million Arabs living in Israel with the Jews, and they are not suffering like the Arabs who are actually controlled by Arabs" elsewhere in the region, Dr. Hamid pointed out. "To be honest, you have to say that the suffering of the Palestinians is because of their leadership and the wrong decisions of leaders like Hamas, not Israel," he said. "The moment the Palestinian leadership stops its arrogance and its barbaric attitude towards the Jews then you will see that things will change and you will see that no Palestinian will be suffering there." Israeli officials have often pointed to the repeated incitement and refusal to recognize the Jewish people's right to self-determination as the major stumbling blocks to a peace agreement. The Palestinian Authority, however, has repeatedly said it would not recognize Israel as a Jewish state, and claimed that it is not responsible for incitement which takes place in its own media outlets.